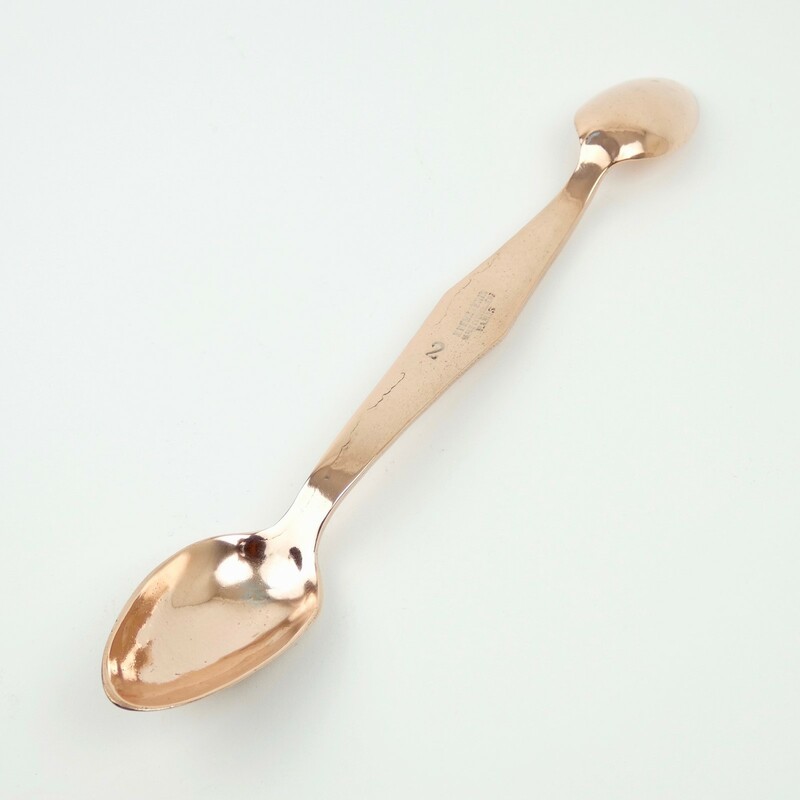 A very good quality, French copper, double ended, measuring spoon. 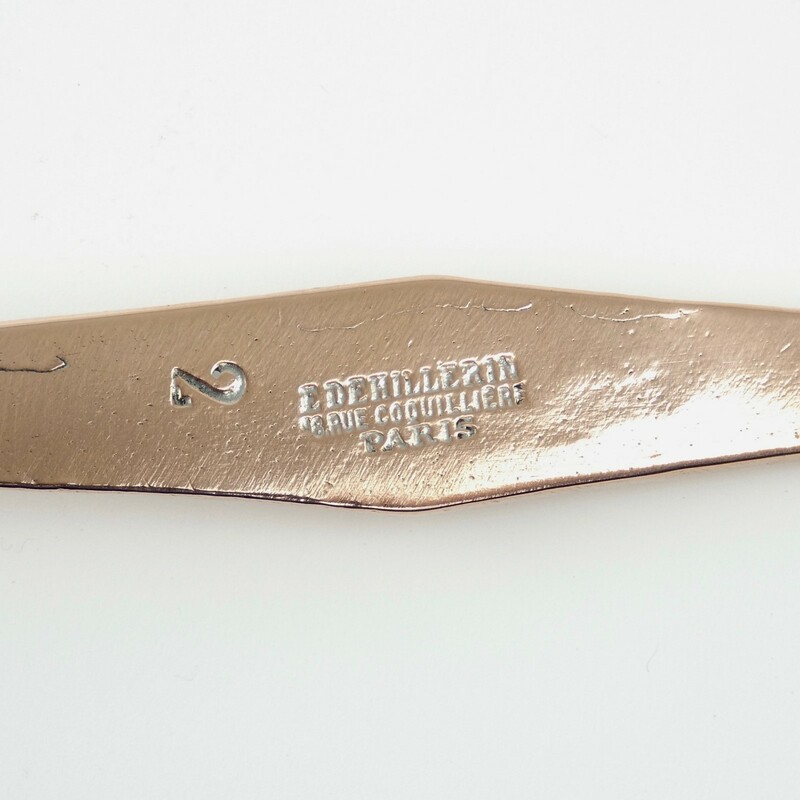 This piece is stamped 'E.DEHILLERIN 18 RUE COQUILLIERE PARIS' to the centre of the handle and it dates from c.1860. It is also stamped with a large number '2'. Originally these utensils would have been coated in tin, for use, but this has now been removed, revealing the copper beneath. They were used as measuring spoons, the larger spoon being a tablespoon and the smaller one being a dessert spoon. 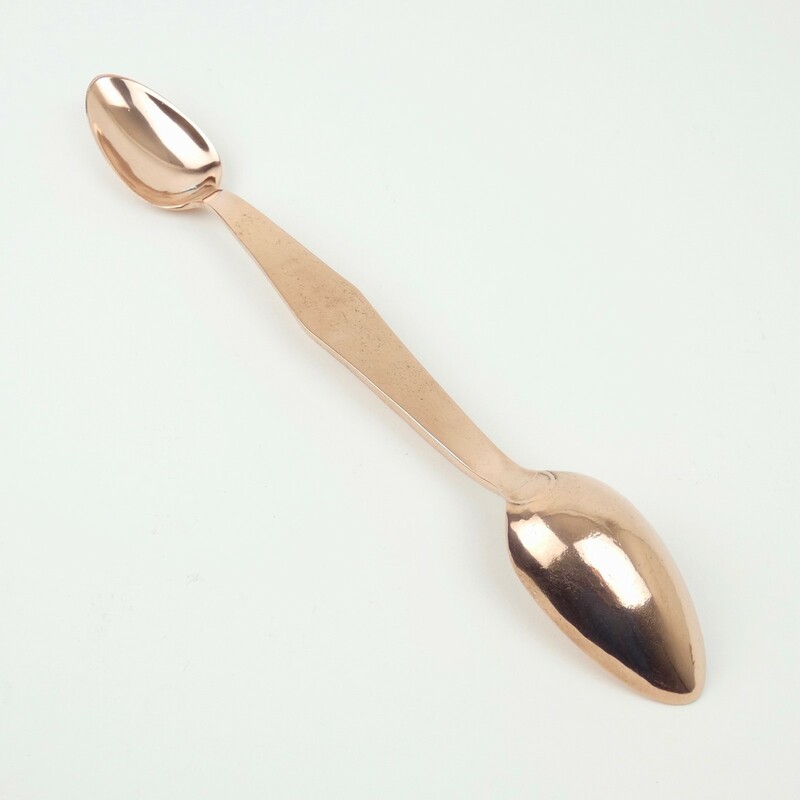 This example is very well made, from a heavy gauge of copper, and it is in excellent condition.